Jayded Dreaming Beauty Blog : NORDSTROM BUY 2 GET 1 FREE MASCARA MADNESS - NOV 8TH 2014 / PRE-ORDER NOW! NORDSTROM BUY 2 GET 1 FREE MASCARA MADNESS - NOV 8TH 2014 / PRE-ORDER NOW! Nordstrom is already taking pre-orders for their HUGE Mascara Madness event. Nordstrom already hosted the event in May and now they are offering it again this coming Saturday, November 8th. This one day only event will be held all day and most Nordstrom stores will accept pre-orders up until Friday, Nov 7th. For those who are unfamiliar with this event - Nordstrom allows shoppers to purchase (in store and online) two mascaras and then receive a third mascara for free. 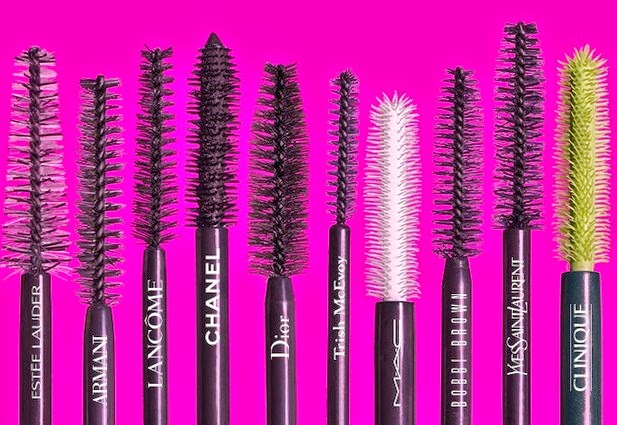 Last May there were no limits on the number of mascaras pre-ordered (I pre-ordered 9 of the Guerlain Maxi Lash mascaras) and you were able to purchase from across multiple brands. Just remember the lowest priced mascara will be the freebie so keep that in mind while shopping. To pre-order one can visit their local Nordstrom department store and pre-order from any cosmetic counter. If you don't have a Nordstrom store nearby you can call the closest one and they will let you pre-order over the phone. Then they will mail out the mascaras to you. Or if either option is not feasible then you can order online from the Nordstrom website the day of the event. Keep in mind though the more popular mascaras will sell out quickly the day of the event so don't wait!!! If a paid pre-order is not picked up the day of the event then the store holds the items for you. As a courtesy please call the store to let them know you will stop by later. Or upon request they will mail them to you if necessary. If pre-orders are not paid in advance then the store may not hold your items after the event ends UNLESS you call to make prior arrangements. Communication is a must! !